Most people are passionate about something. That passion often leads them to learn a lot about that particular subject, and gives them a desire to pass on their knowledge or understanding to others. This is one of the most common ways people find their ideas. Out of their lives, and values, they think of something they “have” to share, and then they figure out a way to say it. Maybe you’ve had cancer and recovered, and you want to tell other people how they can survive cancer. Maybe you’ve been treated rudely one too many times and you decide you need to write something that will help people know how to treat other people. Perhaps you’ve discovered a way to plant a garden that is more successful than any other way you’ve seen. 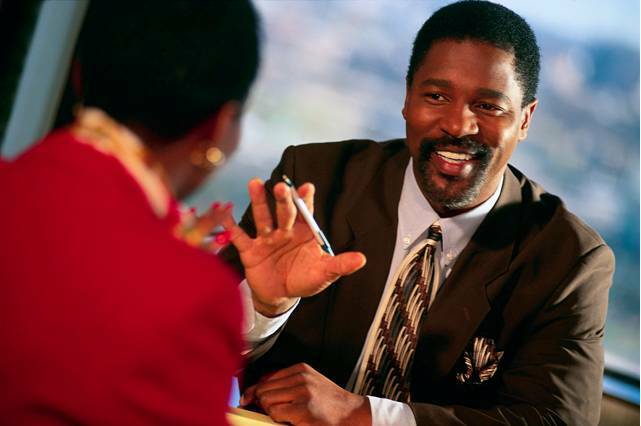 You would like to tell someone what you have learned. I home-schooled all of my sons until they went to high school. Naturally, people would often ask me about reasons for doing it and my experiences. One day, it occurred to me to write an article explaining why and how I did it. I queried a suitable magazine and got a yes, so I wrote the article. Not difficult. Then I wrote another one for a different magazine. And then I wrote yet another. And another. But one day I stopped. I realized that I had no interest at all in becoming the “go-to” homeschooling mom. While I believed that home-schooling was definitely the best option for some people, including several of my sons, I wasn’t at all sold on the idea that every parent ought to home-school, and I had zero interest in becoming an advocate for home-schooling. So I wrote an occasional article, mentioned my experiences in passing, and taught at some homeschooling conferences—usually about creativity, teaching gifted children, or helping young writers. But I didn’t push it. I had found a topic I knew a lot about. But it wasn’t my passion. Before I got married, I taught high school English. After I was married, my husband and I worked with junior high and older teens in youth group and camp settings. One of my biggest frustrations at that time was that so many kids saw themselves in a negative way, as in “I’m not smart enough, not athletic enough, not good-looking or pretty enough, don’t have a car/computer/DVD player,” and so on. The trouble was, most of the kids I knew thought this way—even the ones who seemed to have it all together. With my husband’s encouragement, I took a writing correspondence course. After a few months, I was supposed to be writing a short story. But as I worked on it, a whole book began taking shape in my head. It would be about this really ordinary teenage boy—who saw himself as nothing special, and this other teenage boy who had everything every teenager could want—the looks, the girls, the car, the athletic ability, the brain—the works! I would have the ordinary guy tell the story from his point of view, and of course the whole novel would hinge on the premise that what’s really important isn’t any of those surface things you have little control over, but who you are inside. But from there, instead of starting to write the story, I worked on the elements of the story. I had been raised in a small town, so I set the story in a similar small town. I developed all six of my main characters. I drew a map and pictures of their houses and the school. And then I worked on getting to know those characters as well as I knew myself. I knew that the characters had to drive the story: not my message. When I was done, I knew the characters and the story so well that I honestly wrote the last three chapters first. Then I went back to chapter one and started it. I got to chapter six and got stuck. It was about the same time as my first son was born, and I became very busy. So I put my story in a file folder. It was over ten years before I pulled it out, read the beginning I had written and, without missing a beat, wrote the missing chapters, barely changing the last three. It was published by Moody Press in May, 1991. And yes, it’s a coming-of-age novel about a very ordinary, average teenage boy who learns that what’s important isn’t any of those surface things you have little control over, but who you are inside. Eventually, I wrote three more novels in that series, three discipleship books for teens, and another novel about a different teen who is considering suicide. These books, and a reprint of Best of Friends, were all published between 1998 and 2004. We’re now looking at republishing those books and possibly others. Yes, this time, I was passionate about my topic. 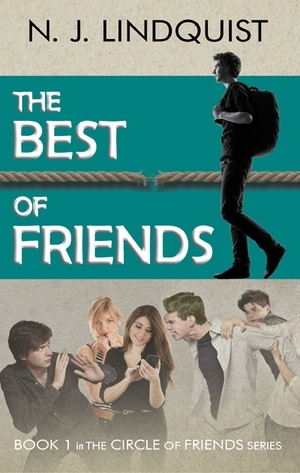 (By the way, you can read the first chapter of the first book here: (The Best of Friends). Why you need to be careful of writing with a specific message. When you write an essay, article, or non-fiction book, you normally have a theme—an idea you want to get across (very similar to the thesis you have when you write an essay). However, beginning with a particular thing you want to say (a theme) when you’re writing fiction, a personal experience story, or even drama or poetry, is a lot trickier. Some people say you shouldn’t even try to write these things with a message in mind; instead, you should let the message come out of the story. The truth is that the best fiction comes from characters who come to life as you write them. And then when you read what you’ve written, you see what your theme is. Plays and screenplays are the same. Poetry is best when it comes straight from the heart. When you write a story with a specific message in mind, your writing is more likely to feel constrained or contrived. I’m not saying you can’t ever write fiction or plays or poetry with a theme in mind. Just that if you do, you have to be very, very careful not to force the theme. Start with your message, but then put that aside and develop your story so that the characters become the most important element. You might end up where you thought you would be, and deliver the original message, or you might not. It could even be far better than you ever dreamed. 1. Make a list of 10 people you know. 2. Make a list of 10 groups of people. 3. Make a list of 10 things you care about. Anything from eating broccoli to saving the environment. 4. Now, write down as many things as you can that you would like to say to those people or groups. Don’t worry about the form of writing you would use; just think about what you’d want to say to them if you had the chance. 5. Now pick three things from your list that get you really excited, create file folders for them, and consider what you might do with them in the next month.